Samost JFCS presents episode #6 in its podcast series. 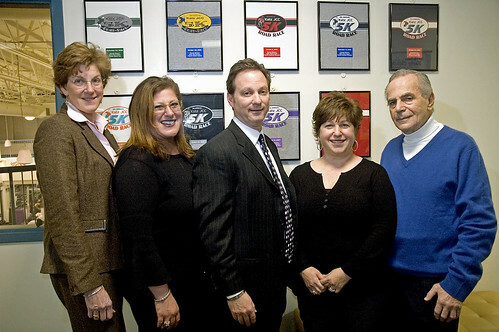 In this program, a roundtable discussion recorded January 14, 2009 at the Katz Jewish Community Center in Cherry Hill, NJ, “Mortgage 911,” a panel discussion featuring mortgage experts with advice on how to make your mortgage more affordable. Download the podcast here (136 mb stereo MP3 file, [01:39:08] duration). Cherry Hill, New Jersey, USA – Wednesday January 14, 2009: Samost Jewish Family & Children’s Service of Southern New Jersey held a seminar for members of the community in financial distress because of mortgage issues. Participants in the January 14 seminar were (from left): Marge Della Vecchia, executive director of the NJ Mortgage and Housing Finance Agency; Jennifer Weiss, executive director of Samost JFCS; Randy Nemeroff, senior loan officer, Oak Mortgage Company; ? ?, Samost JFCS; and Malcolm Block of Home Mortgage Solutions. Photograph Copyright ©2009 Steven L. Lubetkin. All rights reserved.